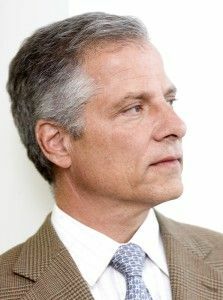 SARASOTA – Andres Duany, a leader of the New Urbanism Planning Movement, is visiting Sarasota June 18-19 to introduce the Light Imprint engineering technique. He will be the guest at a 6pm dinner on Tuesday, June 18 hosted by the Downtown Sarasota Alliance (DSA). Mr. Duany will also give a public presentation to a joint meeting of the City of Sarasota and Sarasota County Commissions beginning 1:30pm on Wednesday, June 19. The presentation will be held in the Commission Chamber on the first floor of the Sarasota County Administration Building located at 1660 Ringling Blvd in downtown Sarasota. The dinner will be held in The Francis Ballroom at Louie's Modern, a restaurant located at 1289 North Palm Avenue. The cost is $50 and can be paid via PayPal or credit card on the DSA website. Andres Duany is a founding principal at Duany Plater-Zyerk & Company (DPZ). DPZ has completed designs for close to 300 new towns, regional plans, and community revitalization projects. The Light Imprint initiative is a comprehensive approach for the placement of development with engineering practices and New Urbanist design techniques. Light Imprint provides a toolkit for stormwater management using natural drainage, traditional engineering infrastructure, and filtration practices.